Some of the best cinematic love stories do not end happily. In Casablanca, Rick and Ilsa part for the good of the free world. In Brief Encounter, wedding vows are honored. 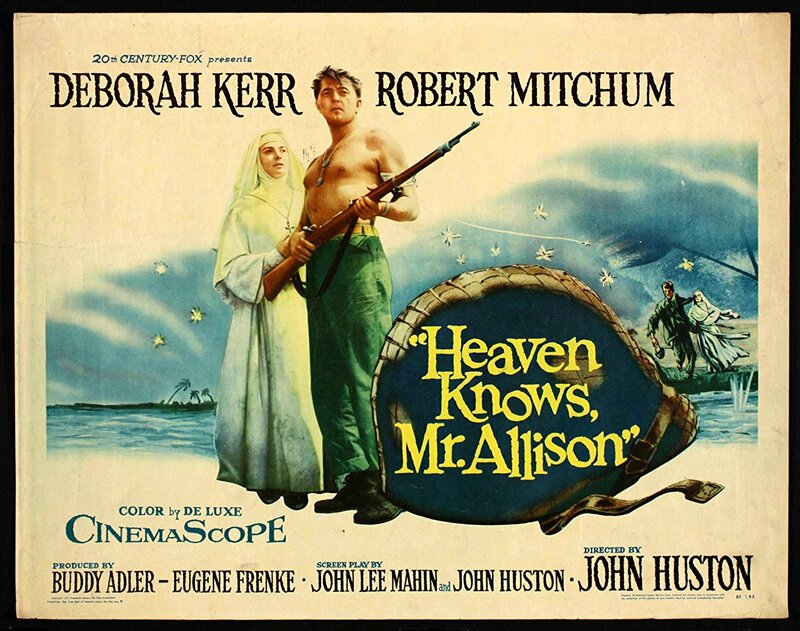 Romeo and Juliet have bummed movie audiences for decades (and live audiences for centuries) Heaven Knows, Mr. Allison (1957), directed by the great John Huston, has a different obstacle to romance: God. During World War II, Marine Corporal Allison (Robert Mitchum) is stranded on a raft in the South Pacific and washes up on the shore of an island populated only by one woman, a nun. The Japanese have evacuated the island, but Sister Angela (Deborah Kerr) stayed behind to care for a dying priest. “Same to you, ma’am,” he responds. 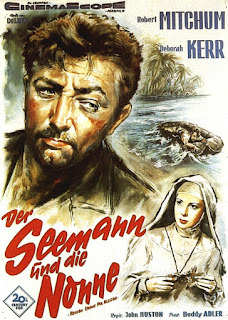 As Allison rests, Sister Angela lights candles in the chapel and says her prayers; when Allison gets up, he puts out the candles, afraid they’ll be seen by the Japanese. The Japanese do eventually come back, causing Angela and Allison to take refuge in a cave on the island. As they spend more time together, Allison finds himself falling for the sister. 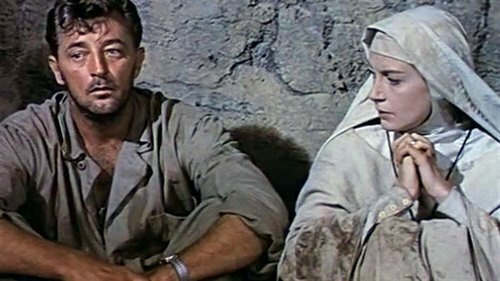 He asks, “Supposing a nun should change her mind, could she get out?” She asks if he means desertion from her call. “They wouldn’t shoot you,” he responds. Sister Angela runs from the cave, into the cold night. She gets sick, and Allison has to care for her. As she recovers, he apologizes for his words and behavior. With Japanese on the island, Marine Corporal Allison looks for a chance to attack them. He believes God is talking to him, telling him to go after their base. She responds, “Mr. 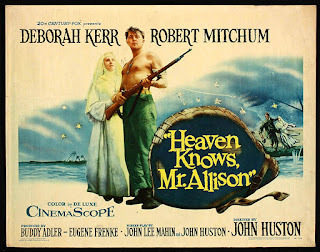 Allison, even if we are many miles apart, you will be my dear companion always.” But not lover or husband. They part as friends, nothing more. But it is a lot. A modern telling of the tale might tempt the filmmaker to show more in the relationship. I’m glad that Huston was satisfied with making Mr. Allison and Sister Angela stay true to their callings. 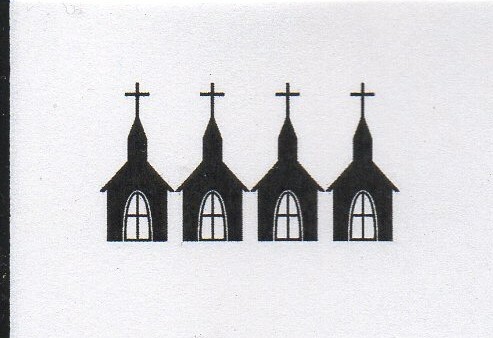 We're giving Sister Angela 4 Steeples.